'Upanyas Samrat' Munshi Premchand's 134th birth anniversary today. In its first step towards restructuring MGNREGA (Mahatma Gandhi National Rural Employment Gurantee Act), the government has announced that the material-labor expenditure ratio in the scheme would be changed from 60:40% to 49:51%. The government is also planning to monitor the work under the scheme through the use of space technology and provide wages to laborers directly through e-governance tools such as electronic fund management system. A new audio-visual museum chronicling the history and treasure troves of the highest office of the country will be opened for the public from tomorrow (1st August 2014) in Rashtrapati Bhavan. The Baroda Rajasthan Kshetriya Gramin Bank, a Regional Rural Bank of Rajasthan, established under RRB Act, 1976 with 50% shareholding by Govt. of India, 35% by Bank of Baroda and 15% by Govt. of Rajasthan is inviting online applications for filling up the posts of Officer Junior Management - Scale I Cadre and Office Assistant (Multipurpose) from IBPS RRB CWE II qualified candidates. There are 176 Officers JMG Scale I posts and 136 Office Assistants posts in total. You can apply online from 1st August 2014 to 19th August 2014. Check complete details below. Friends, the much awaited results of LIC HFL Assistants Interview 2014 out. The organization has been sending mails to all the selected candidates with the details of Medical test and joining dates. You can check your result by entering your Registration Number and Date of Birth / Mobile Number from below link. All the Best. Friends, in our previous post we have discussed about Non Institutional Credit Agencies. Today we shall discuss about one of it's constituent, Indigenous Bankers. Indigenous bankers conduct banking business. According to Indian Central Banking Enquiry Committee (1931) an indigenous banker is defined as "Any individual or private firm receiving deposits and dealing in hundies or lending money". One of the distinguishing features of indigenous bankers is that they provide credit by discounting hundies. Both money lenders and indigenous bankers are part of the unorganized money market. It is an ancient system of finance in India. Until formal system of commercial banking came into existence in the middle of the eighteenth century, major part of banking in India was carried through indigenous banking system. Pick out the most effective pair of words from the given pairs of words to make the sentence meaningfully correct. Our army is ___________, ______________ the border of the neighboring country. Hi Friends, this is Santosh again. Thank you so much for the tremendous response to my 7 day Action Plan for RBI Grade B Officers Exam 2014. Today I am sharing General Awareness exclusive material compiled by me. This pdf file consists the matter which I feel important for the upcoming RBI Grade B Officers Exam. I made this pdf based on the inferences of previous papers. I wrote some definitions in simple terms so that avoiding tricky language. Download it from below link. I hope you will find my efforts useful. All the Best. The US and European Union have slapped tougher and "wide-ranging" sanctions on Russia, targeting its energy, finance and defence sectors for its continued support of separatists in Ukraine. Australia's priority was gaining access to the crash site of downed Flight MH17 in Ukraine, not imposing sanctions on Russia, Prime Minister Tony Abbott said today. The Non-Institutional Credit Agencies are still playing a significant role in our financial system. The private moneylenders and indigenous bankers are the two important constituents of the non-institutional credit agencies. The private money lenders refers to those individuals who lend credit to the people who require it. Where as the indigenous bankers refers to those bankers who not only deal in "HUNDIS' but also lend money and or accept deposits from the public. Despite the dominant presence of various 'institutional credit agencies' the private money lenders and indigenous lenders are playing their due role in our financial system. Hence, there is a need to understand these two non-institutional credit agencies. In the following passage, there are blanks each of which has been numbered. These numbers are printed below the passage and against each, five words are suggested, one of which fits the blank appropriately. Find out the appropriate word in each case. Trust is the basis of human relationship. As trust between people grows 1 change and interpersonal dynamics are transformed. Diverse skills and abilities become 2 and appreciated as strengths. People begin to 3 one another's feelings and attitudes. They learn to be 4 instead of playing roles. As trust grows the 5 that prevent 6 and openness lessen. People become more expensive, impulsive, frank and 7 Their communication is efficient and clear. They risk 8 and confrontation, opening the doors to deeper communication, involvement and commitment. Congestion and 9 lessen. The flow of data is open and 10 . Here is an important announcement for CAT 2014 aspirants, you will get 30 minutes more to attempt the questions. The Indian Institute of Management (IIM) Indore, the organization which is conducting the online CAT Exam for the year 2014 has announced that the time of the CAT Exam has been increased to 170 minutes (Until CAT 2013, the time for the exam was 140 minutes). Henceforth, in sections of Quantitative Ability and Data Interpretation, and Verbal Ability and Logical Reasoning, you will have to answer 50 questions each instead of earlier 30. In simple words you will get more Questions and more time to solve. The Tamilnad Mercantile Bank (TMB) is inviting online applications from eligible graduates for filling up the posts of Clerks 2014. The selection will be based on online objective test. You can apply online from 30th July 2014 to 13th August 2014. Check complete details below. All the Best. Addressing the 86th foundation day and awards ceremony of Indian Council of Agricultural Research (ICAR) in New Delhi today, Prime Minister Narendra Modi hailed all the farmers of the nation saying, "Everyone who has contributed to the field of agriculture needs to be given a standing ovation. I request you to applaud the farmers who feed the people of India, and not me." The Banking Industry in India has made a remarkable progress since nationalization of private commercial banks. A number of innovations were made in the field of social banking. Starting with the policy intervention by the Government of India to regulate the flow of bank credit into the priority sectors, poverty alleviation programs were financed by the banking system. In fulfilling these objectives, the profitability of the baking sector has declined after the second phase of nationalization. It has also suffered serious decline in productivity and efficiency. It is possible to defend the low profitability and poor financial conditions of public sector banks by referring to their commitment to social obligations such as, opening rural branches, setting up and subsidizing Regional Rural Banks, financing IRDP and other poverty alleviation programs at concessional rate of Interest. These arguments hold good, to a large extent, to the private sector scheduled commercial banks too. But these banks are making more profits than public sector banks. Friends, you can download your UPSC Civils Prelim examination 2014 admit cards now from the official website of UPSC www.upsconline.nic.in. There are three options to download your Admit cards. You can download your UPSC Civil Services 2014 e-Admission Certificate by entering your Registration ID or Roll Number or Name from below link upto 24th August 2014. The UPSC Civil Services 2014 Admit Card is available in online mode only and it will not be sent by post or by any other mode of communication to the candidates. All the best. Which of the phrases 1, 2, 3, 4 or 5 given below each sentence should replace the phrase printed in bold type to make the sentence grammatically correct ? If the sentence is correct as it is ,mark 5 i.e., No correction required as your answer. A majority of the students believe that examinations are unnecessary. After the Nationalization of commercial banks, government took the initiative for extending banking facilities in rural areas. Prof D. R. Gadgil, chairman of National Credit Study Group, recommended the adaptation of an "area approach" to evolve plans and programs for the development of an adequate banking and credit structure in rural areas. As a sequel to this "area approach", recommended by pof Gadgil study group, the Lead Bank Scheme was introduced in December 1969. Under this scheme, a particular district is allotted to every nationalized commercial bank. The allotment of districts to the various banks was based on such criteria as the size of the banks, the adequacy of their resources for handling the volume of work. The lead banks initially conduct basic surveys in their respective lead districts and prepare district credit plans designed for the purpose of estimating credit needs of the concerned district so that physical and manpower resources available may be utilized properly. The district credit plans are linked with the development programs and are based on integrated development of the concerned district with special emphasis on the development of rural and backward areas. Since the introduction of lead bank scheme notable progress has been achieved by commercial banks in respect of branch expansion, deposit mobilization and credit deployment. Undoubtedly, the scheme is major step towards banks fulfilling their new social objectives and holds promise for making banks as effective instrument for bringing about economic development of the allotted districts. Maharashtra government and UNICEF today launched a fortnight-long campaign to mobilize communities, health personnel and political leaders towards prevention of diarrhoea. Army Chief , General Bikram Singh called on Union Home Minister, Rajnath Singh, in New Delhi. The Delhi High Court on Monday has stayed the Election Commission's show cause notice against former Maharashtra CM Ashok Chavan asking why he shouldn't be disqualified for hiding details of his 2009 poll expenses. The Nationalization of commercial banks opened new vistas before the banking system as a whole and gave new dimensions of the economy. It assumes greater significance and implied a revolutionary change in the principles and objectives of the credit policy of commercial banks. In the field of commercial banking, the first seed of nationalization were sown in the year 1955 when the Govt. nationalized the imperial bank of India and named it as State Bank of India. In the year 1960, on the recommendations of the committee the All-India Rural Credit survey Eight State-association, banks were taken over as subsidiaries of the State Bank of India. The Govt. of India Nationalized 14 major commercial banks in July 1969 and another 6 banks in April 1980. The nationalization of July 1969 and April 1980 was a unique phenomenon, different from that of nationalization of the RBI in 1949 or the nationalization of Imperial bank of India in 1955, as these were very modest having little socio-economic change in the country. Before and after Nationalization of commercial Banks, a section of people has described it as momentary and timely, while others criticized it as wrong and untimely. Hello Aspirants, I am Arafat from Vijayawada, Andhra Pradesh. Here i am going to share my exam review. Row arrangements one row facing north n south etc.. and last puzzle 7 members 7 day seminars who like 7 flowers. Go for it if practiced well. Start it in the end. Friends, in our last post we have discussed about the Types of Banks. In today's post, we shall discuss about the Reserve Bank of India (RBI) in detail. The RBI was established on 1st April 1935 under the RBI Act, which was passed on 6th March 1934. After the establishment, RBI took over the functions of issuing paper currency from the central government and the controlling of the credit from the Imperial Bank of India (now called as State Bank of India). The bank was nationalized on 1st January 1949 in terms of the RBI Act 1948. The RBI head office is located at Mumbai since its inception. Finance Minister Arun Jaitley will address the board of the Reserve Bank in Delhi on August 9 amid expectations that the central bank will complement government actions by reducing rates to boost growth. The government is likely to approach regulator TRAI for details of the villages in Jammu and Kashmir, Uttarakhand and Himachal Pradesh that have no telecom connectivity. Hi, My name is Fahad, i hail from Kerala district. I would like to share my experience about today's exam.. In this section questions came from both Banking and GA.
My name is Shubham, hails from Lucknow. I appeared for SBI Clerk exam today i.e. on 27 Morning Shift. I would like to share some of the Gk and Com/marketing questions asked and overall experience. For the purpose of academic discussion, the academicians and economists across the world have classified the banks into various types depending upon their primary or basic activities / functions. Following are various types of banks. Commercial Banks : Usually, a majority of the Commercial banks are joint stock companies. They are also known as deposit banks. These banks can also be established under a special legislation / Acts, a charter. They can be established either a public sector or a private sector bank. They may adopt either a unit banking system or a "branch banking system". Further, these commercial banks can be categorized as "domestic banks: or "foreign banks" depending upon their origin. The primary functions of these banks are accepting deposits, lending money through overdraft, loans, discount of bills etc. in addition, they also take up several non banking activities. South Sudan's food crisis is now the worst in the world, the UN Security Council said, as it called for urgent funding to step up deliveries of desperately-needed aid. The European Union has extended its Ukraine-related sanctions to target top Russian intelligence officials and leaders of the pro-Russia revolt in eastern Ukraine. As India, the United States and Japan on Thursday kicked off rare three-way naval exercises, China has called on the three countries to ensure that the “Malabar” drills in the Pacific Ocean would be “helpful to build mutual trust” in a region grappling with renewed maritime tensions. Friends, Myself Santosh Kumar Perali from Hyderabd, just an aspirant like you. Today I want to share the final 7 day action plan for RBI Grade B officer’s exam which is going to be held on 3rd August 2014. And this exam is stepping stone for lucrative job with RBI (India's Central bank). I hope everybody is preparing well, but RBI exam is all about "General awareness”, because 80/200 marks directly coming from this section. So we should concentrate more in this area, and second area of priority should be "Reasoning" because it is worth 60/200, and "General English”, “Quantitative aptitude" of 30 marks each. In this section they gave 3-4 gk questions which we can’t see in bank exams normally. That’s why I told you moderate level. Other questions not so much easy but ok level. You can manage if you through all current affairs and banking awareness. No complaints about this section except GK. Friends, the Union Public Service Commission (UPSC) has released the results of National Defence Academy and Naval Academy Examination (I), 2014 which was held on 20th April 2014. The organization has released the Roll Numbers of candidates who have qualified for interview by the Services Selection Board of the Ministry of Defence for Admission to Army, Navy and Air Force Wings of the National Defence Academy for the 133rd Course and for the 95th Indian Naval Academy Course (INAC) commencing from 2nd January, 2015. You can check your result from UPSC's official website www.upsc.gov.in or from below link. All the Best. Hi Friends, I am Yogesh Kumar from Delhi. Today I appeared in the Morning shift of SBI Clerical exam. Here is my review. Hello guys its Praveen from Karnataka, today i had attended the SBI clerical exam in morning session, so here is my review. Friends, this is the Lesson 2 of our Banking Awareness study material for upcoming RBI Grade B and IBPS PO IV online exams. Please read the Introductory Lesson 1 from here before reading this. The Government of India passed comprehensive Banking Regulation Act in 1949 for safeguarding the interest of depositors of Banking companies. According to the Act the definition of bank needs certain alterations, it now comprises acceptance of time liabilities and there is every reason for it to continue. The purpose of acceptance to deposits is strictly not relevant for the definition, though it is genuine for banking regulation. There is no need to distinguish between loans and deposits in the context of banking regulations. The definition of banking should cover all forms of acceptance of deposits from the public and banking regulations should deal with all types of banking. The origin of the banking system lies in the business of money changes in ancient periods. The Babylonians had developed a banking system as early as 2000 B.C. The practice of lending was widely prevalent in ancient Greece and Rome. The banking activities were developed in Italy. Later the banking activities were spread from Italy to Britain. Some of the Italian money lenders were settled at London and offered their services in 13th century A.D. Goldsmiths began to accept deposits of gold coins at London in the early 17th Century. The bank of England was started in 1694. Because of growing incidence of bank failures, the British government passed the Bank Act in 1826, which allowed the establishment of banks with unlimited liability. This led to the starting of joint stock banks in England. External Affairs Minister Sushma Swaraj is on a three day visit to Nepal. This trip will focus on confidence building measures, strengthening bilateral ties and preparing the ground for Prime Minister Narendra Modi's visit to the country. The Andhra Pradesh Grameena Vikas Bank (APGVB) has released the interview schedule for it's Office Assistants' second phase recruitment. The bank has selected 529 candidates for the Interviews. The interviews are scheduled to be held from 1st August 2014 to 9th August 2014 at Stanley College Of Engineering And Technology For Women, Chapel Road, Abids Hyderabad – 500001. You can check complete details from below link. All the Best. The 14th round of Foreign Office Consultations between India and Myanmar was held in New Delhi on 23rd July 23 2014. The Indian delegation was led by Smt. Sujatha Singh, Foreign Secretary of India, and the Myanmar delegation by U Thant Kyaw, Deputy Minister of Foreign Affairs of Myanmar. In order to raise concerns about the repeated ceasefire violations by Pakistan's armed forces in Jammu and Kashmir, Indian Foreign Secretary Sujatha Singh will be meeting her Pakistani counterpart Aizaz Ahmad Chaudhry in Islamabad on 25th August. "Just in time" technique has wider acceptance world over. The technique was first introduced in ? The speed of the dot matrix printer can be measured in ? _____________ is the process of accessing addresses to the different areas ? 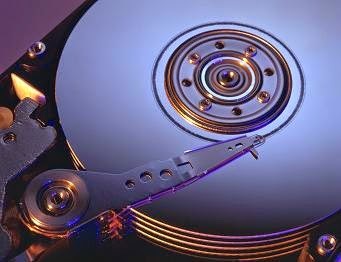 __________ is a circular path on the surface of a disk or diskette on which information is magnetically recorded and from which recorded information is read ? __________ is a subdivision of a track ? A piece of stiff paper that contains digital information represented by the presence or absence of holes in predefined positions is known as ? Read the below sentences. Tell us whether these are true or false ? Which of the following are the functions of an Operating System ? ______________ Operating System enables a multiple user access to a computer through the sharing of time. Checking the computer program for errors is called ?